Whether you’re used to a more maintained brow look or are in need of some extra TLC in the arch department, eyebrow threading is an excellent, natural option for hair removal. 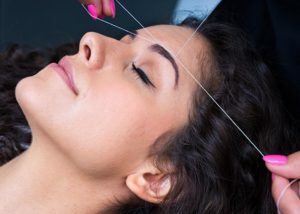 With its origins in Asia centuries ago, eyebrow threading is a simple process that is often considered to be one of the best options for shaping brows. But if you’ve ever seen it in action and have wondered how a single piece of thread (held in the practitioner’s mouth) can transform arches in mere minutes, allow us to explain. 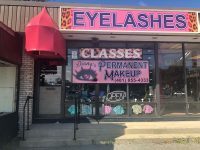 The threading process is quite simple and typically involves a single piece of cotton thread, according to Diane, the founder of Diane’s Permanent Makeup salon. 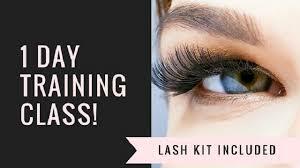 After wiping the eyebrow area clean, the thread is “twisted and pulled along areas of unwanted hair acting like a mini-lasso, lifting the hair follicle directly from the root without the use of any chemicals or unnecessary tugging on delicate skin,” she explains. One of the most common methods of threading is with the long strand of cotton thread — held in one end of the mouth, says Diane. “The thread is twisted in order to efficiently roll over the skin to individually pluck the roots of unwanted hair,” she says. 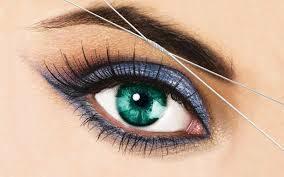 While there are many different threading methods, Diane says this is the most practiced technique.